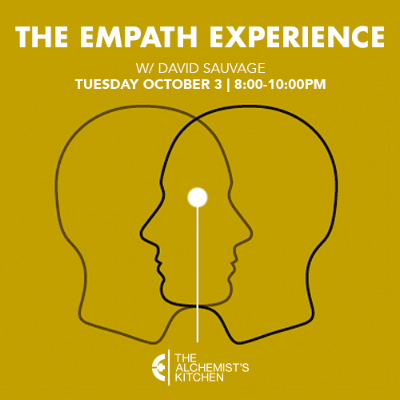 October 3, at the Alchemist Kitchen, I'm doing all things EMPATH at 8pm. Telling my story, doing some readings, answering questions, holding a mini-workshop, all of it -- for a fun evening of playful co-emoting and supernatural emotional traveling. $25 ticket online / $30 at the door -- and I'll make it awesome, promise.